Experience the best results with Associated Dermatology! QX MAX is safe and effective solution for removal of multi-colored tattoos. During a tattoo removal procedure, laser light is applied to the tattooed area of the skin. The light is selectively absorbed by the tattoo ink particles, leaving the surrounding skin tissue unharmed. The tattoo ink particles absorb the laser energy, heat up, and shatter into smaller ink particles. Over a series of treatments, more and more of the ink shatters, leaving the skin free of ink. 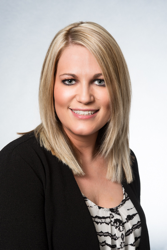 Lindsey Has Extensive QX-MAX LASER Training and Tattoo Removal Experience in a Dermatology Skin Care Clinic. Our Tattoo Removal Patients Feel Secure and Confident Knowing They Are Receiving Safe and Effective Laser Treatments by a Trained and Experienced Medical Laser Technician. Associated Dermatology & Skin Cancer Clinic of Helena Offers State Of the Art Advanced Laser Technology Combined with Lindsey Murolo, CCMA, CDT - QX-MAX LASER TECH - Specializing in Tattoo Removal. Laser Tattoo and Pigmented Lesions Removal by an Associated Dermatology Technician. Schedule Your QX-MAX Laser Tattoo Removal Evaluation & Treatment Plan! We look forward to meeting you and understanding how we can help you love the skin you're in.